A framework for advancing inclusion and belonging that is rooted in the Scout Oath and Law can guide our actions as we move between the different kinds of knowing. But what other guidelines and actions can facilitate inclusion and belonging in alignment with these values? In this section, we offer best-practices and guidelines to help further advance inclusion and belonging in our movement. Seek first to understand. If we can’t understand the viewpoints of others, how can we hope to connect in meaningful ways and build relationships which reflect the values of the Scout Oath and Law? The “Appendix” section at the end of this guide provides a strong foundation for building greater understanding across several areas of inclusion and belonging. Meet people where they are. Given the discriminatory history of the BSA, chances are high that not everyone is committed to advancing inclusion and belonging in our movement. Those people are who we should be striving to speak with the most! It is important that we create opportunities for strong relationships and honest communication so that everyone has the opportunity to learn, challenge old habits, and live Scouting’s deepest values. Always start with “yes”. If someone asks if they belong in Scouting, even though they’re a girl, a member of the LGBTQ+ community, an atheist, agnostic, or humanist, a person with a disability, or a refugee — and you hesitate — you’ve already made them feel like they don’t belong. Instead of wondering what you’re going to have to do to make them feel welcome, simply say “Yes, of course you belong here.” You’ll have plenty of time to figure out details later, and you’ll have the added benefit of that individual or family assisting you in doing the right thing. Don’t jump to conclusions or make assumptions. Just because someone looks a certain way or talks a certain way doesn’t mean you should make any assumptions about their background or identity. Acknowledge your potential biases and think before you speak! Are there any ways in which this situation might detract from creating welcoming environments for all people? Are there any ways in which this situation can help create a welcoming environment of inclusion and belonging for all people? Are there any ways in which this situation might be a barrier to growing membership in Scouting? Are there any ways in which this situation could help grow membership in the BSA? Assuming good intentions, why might someone act this way, say this thing, or create such a policy in this situation? In general, our policies and practices must align with the core values of inclusion and belonging, with the wisdom of The Guide to Safe Scouting, and with Youth Protection guidelines. When these complementary resources work together in harmony, we advance inclusion and belonging for all in Scouting and beyond. 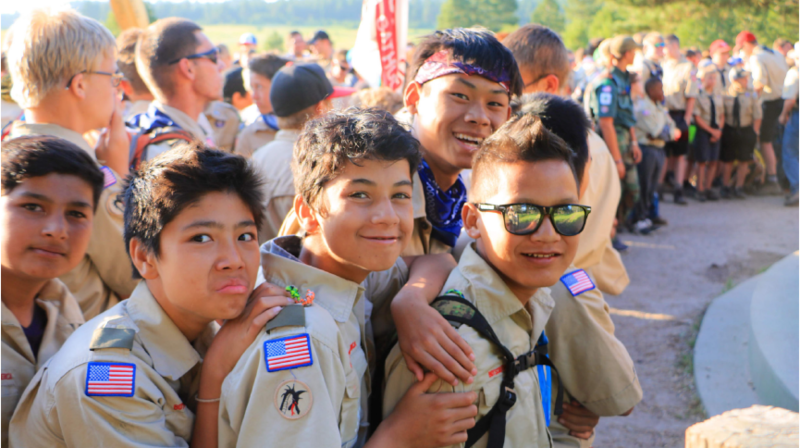 In this section, we address some common questions about how to conduct the Scouting program in light of more inclusive policies and in ways that promote belonging for all. In general, these questions usually focus on accomodations for showers, sleeping arrangements, and personal privacy in general. Fortunately, not much needs to change! Scouting has been using these facilities for a long time. Over that time, strong policies have been developed to help ensure privacy for all. The Guide to Safe Scouting should always be the go-to reference for how to maintain privacy and dignity in communal situations. However, it is important to be mindful of how these policies can be used to advance inclusion and belonging as well as privacy and safety for all. Many Scouting facilities have already converted from open bay style showers to individual showers and changing stalls. This is the best option for maintaining dignity and privacy for all. As long as personal respect and integrity are actively practiced through the Scout Oath and Law, it shouldn’t matter who is showering beside whom in a private shower stall situation. Private showers and changing stalls can be built inexpensively with PVC or thin metal piping and shower curtains that are replaced as they become worn or torn. More permanent facility modifications utilizing door frames, walls or opaque glass can be implemented as time and budgets permit. We should not introduce sexual orientation into current practices of age and gender separation for shower and restroom facilities. Someone’s orientation does not imply that interactions or activities with other BSA members involve any ‘attraction’ to anyone else. Rather than segregating members on the basis of sexual orientation—which would almost certainly create an exclusionary environment and increase the likelihood of bullying—a better option would be to encourage any individual who feels uncomfortable for any reason to use facilities at a time when the cause of their personal discomfort is no longer a factor in using that facility. Regardless of an individual’s identity, it is not necessary to ask about specific reasons for personal discomfort unless safety is a concern. If you have reason to believe that personal safety is at risk or if bullying is occurring, you need to discuss this with the individual as well as other adult leaders and plan accordingly. One of the primary points to remember in tenting situations is that tent-mates are often not assigned, they are chosen by the individuals involved. If this is the case in your unit, there is really not much consideration that needs to be expended on sleeping arrangements beyond the scope of The Guide to Safe Scouting. Many types of people have been involved in the Scouting program for many years. Now, we might just have more insight into each other as fellow Scouts and Scouters than we might have had before. For a number of reasons, ranging from simple personality preferences (e.g. “I don’t get along well with that person”) to deep cultural differences (e.g. “I feel more comfortable tenting with someone who shares my religious practices”), there may be situations where a Scout or parent expresses a desire to not share tent space with a specific person. In situations like these, the unit leader should accommodate requests to the extent that is possible, reasonable, and in alignment with our Scouting values of safety, inclusion and belonging for all. We must be able to respect difference without reverting to exclusion. This may mean approaching the unit committee to obtain additional equipment as needed for recurring situations of individual accommodation requests. If the accommodations being requested are not logistically possible, reasonable, or in alignment with the values of safety, inclusion, and belonging, the individual making the request should be informed that their request is not possible to meet so that they can consider other options as needed. For example, perhaps they can bring their own equipment. For the most part, BSA already maximizes privacy in cabin sleeping situations to the extent possible. If private changing areas are required or desired in a cabin camping situation, this can be easily accomplished through visual barriers inside the sleeping facility. Similar to the makeshift private shower stalls, a little PVC pipe, some shower curtains, and a corner of a cabin can make a suitable changing area for those who appreciate such an option. Additionally, a few pieces of rope with plastic drop cloths or blankets can produce the same outcome without much effort, cost, or prior planning. You might have noticed, these solutions would also function as great service projects and opportunities to practice Scouting skills! As already stated, the provisions of The Guide to Safe Scouting must be maintained at all Scouting events and meetings.  Adherence to these provisions will take care of almost all of your privacy needs. Really, it’s pretty simple! If you find yourself trying to solve what seem like really difficult problems in regards to facility privacy, it might be a sign to take a step back and consider whether it’s really that difficult of a problem to solve. If the privacy issues involves a Scout, remember that parents can be important sources of knowledge and insight. Ask the Scout’s parents to be allies in navigating whatever challenges and opportunities arise. In many cases, parents can spot simple and elegant solutions when we don’t know where to turn or how to proceed. For more detailed resources and best-practices for creating inclusive and welcoming environments for those who have been — and continue to be — excluded from Scouting, please see the “Appendix: Resources for Further Learning” section at the end of this guide. Will there be times when we’re confronted with challenges and opportunities that make us feel uncertain, confused, or even uncomfortable? Of course! But Scouting’s values help us capitalize on these opportunities, learn from challenges and mistakes, and do our best to make the world a more just and caring place for all. We must always be prepared to support Scouts and Scouters regardless of who they are. As leaders, we should always do our best to avoid comments and actions that might create communication barriers between us. We should always think very carefully about whether the things we say or do are facilitating the creation of welcoming environments or detracting from it. Let’s return to the case of Justin and the Troop Open House from Part 1. How could Justin have handled this situation in a way that created a more inclusive and welcoming environment for Taylor and her family? Justin felt embarrassed and ashamed that this awkward moment happened at the troop open house. As people who are reading the case, it’s obvious that Justin didn’t mean to make Taylor or her family feel uncomfortable. In fact, Justin was trying to be welcoming and he immediately tried to apologize for his mistake. However, Justin’s assumption that it would be okay to ignore the younger Scouts who were snickering at Taylor’s hair (e.g. “They are just kids being kids”) opens the door for future bullying and exclusion. His assumption that Taylor used “he”, “him”, and “his” pronouns, or that he could assume Taylor’s gender identity simply based on what he thought Taylor looked like, are all examples of how habits and assumptions can create barriers to advancing inclusion and belonging in Scouting. Justin meant no harm, and he would affirm that Scouting should be a more inclusive movement where everyone knows they belong. Justin did not mean to alienate Taylor or her parents, and he would certainly say he’d never intentionally discriminate against the LGBTQ+ community. 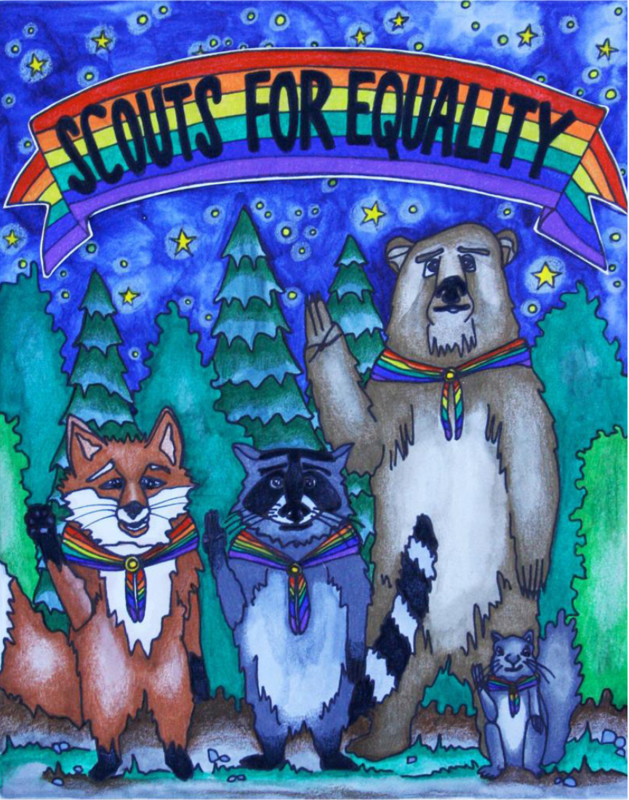 However, it is important to remember that everyone who participates in Scouting is unique, and it is impossible to know with certainty if a Scout, Scouter, or relative identifies as LGBTQ+ or not. Justin might have avoided this situation if he had practiced the Scout Oath and Law as part of a framework for advancing inclusion and be- longing. If these values had been instilled with- in every aspect of the troop, Justin may have been more skilled in constructively addressing potential bullying behaviors. He may have also been more familiar with using gender neutral (e.g. “they”, “them”, “their”) pronouns, or avoiding unnecessary use of gendered pronouns (e.g. “We’ll get this registration underway, and you’ll officially be a Scout!”). Even if Justin had accidently used incorrect pronouns, practicing the framework for inclusion and belonging may have prepared him to be less confused and/or surprised, and instead be more skillful and inclusive when Taylor let him know about the mistake (e.g. making a simple apology without anxiously stumbling over his words). 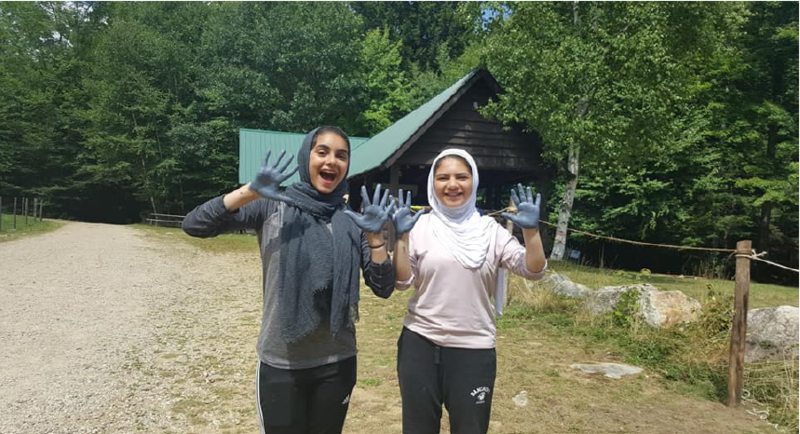 Learning how to advance inclusion and belonging when we feel surprised or confused is an important habit to acquire, but the Scout Oath and Law help us do exactly that. Doing our best to help others feel included and welcome means living the Oath and Law by cultivating an open, non-judgemental attitude about behaviors, identities, and personal expressions that differ from our own. We must support each other in practicing these values. Creating a culture of learning and accountability among those who already feel like they belong in Scouting is vital for advancing inclusion and belonging for all. Guided by our highest values, we can continue creating welcoming environments and be prepared for interactions like the one that caught Justin off-guard. Fortunately, with some training, practice, and a few small changes in protocol, we can advance inclusion and belonging in our movement to ensure families like Taylor’s can benefit from everything Scouting has to offer. And, even more importantly, we can ensure that Scouting benefits from Taylor’s participation in the program as well. When we make mistakes, the value of an apology cannot be overstated. No one is perfect, and apologies help us demonstrate respect and learning. If we are corrected by fellow Scouts and Scouters when we make a mistake, we should thank them for helping us improve! Apologies and respectful reminders can help diffuse even the most challenging situations and promote learning for all as we move forward in advancing inclusion and belonging through high quality Scouting programs.